With the sun shining and the weekend nearing, Boston is looking especially good today! 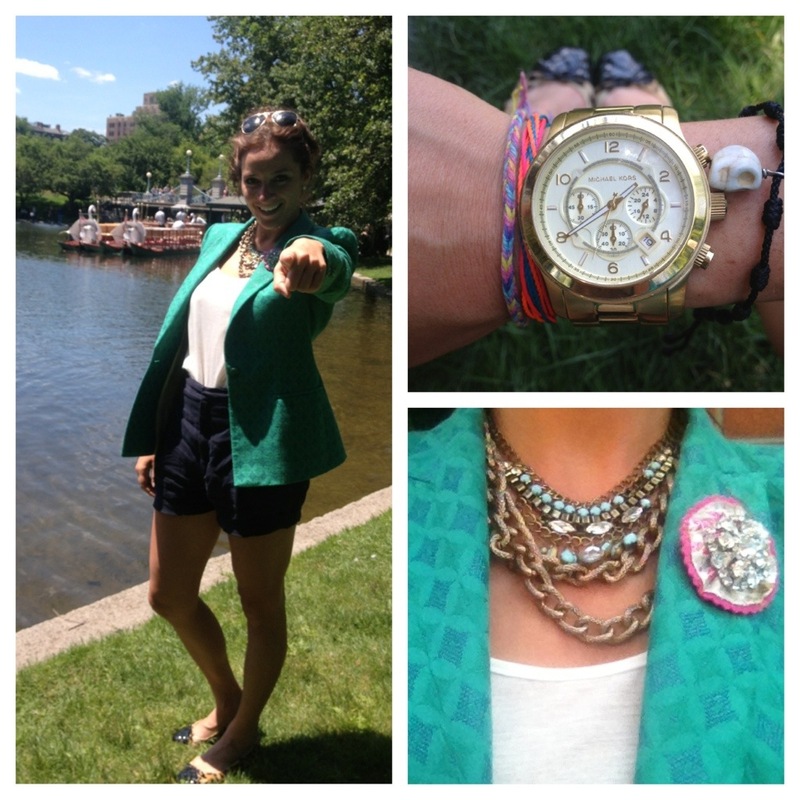 The flowers are all in full bloom, the swan boats are running, people are shopping and I’m wearing a fun outfit! 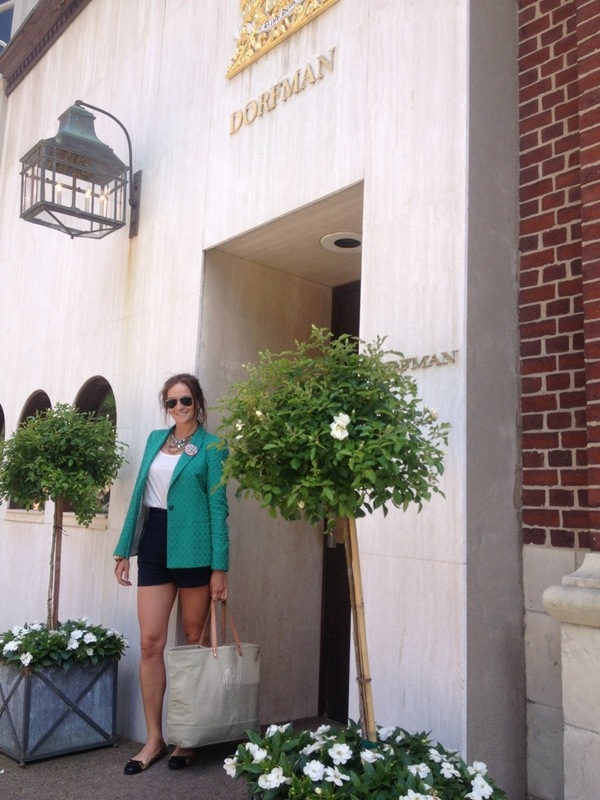 Here I am at Dorfman Jewelers for the ANTONINI collection Trunk Show. 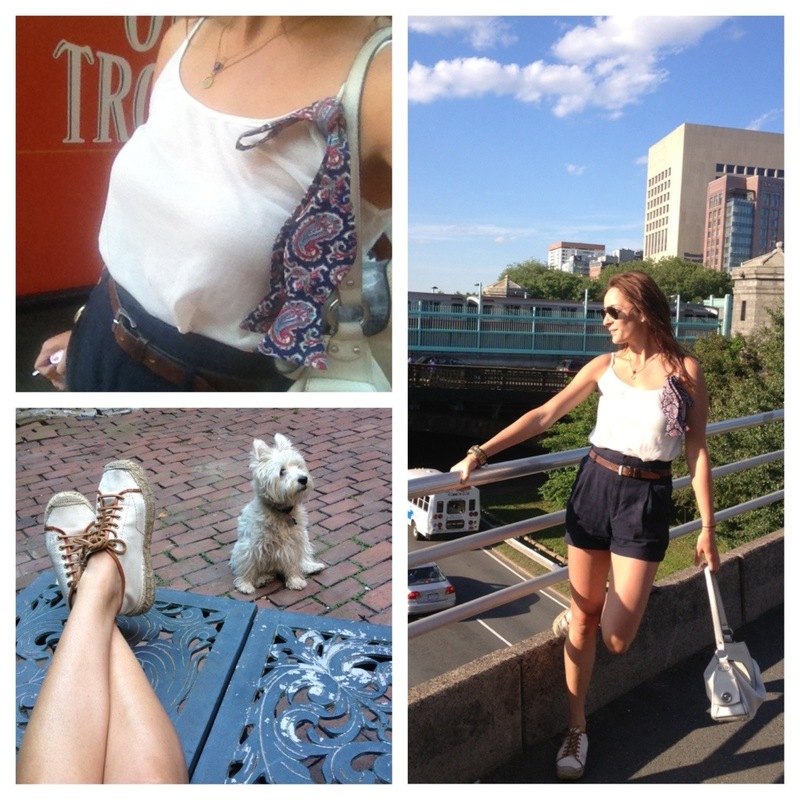 You may have noticed that I am a repeat offender wearing the same high waisted shorts as yesterday….but can you blame me? Look how long my legs look in these bad boys. I’m all about it! Funny thing about these shorts, is that they sat in my closet for two years as an unworn pair of pants. It wasn’t until a couple of days ago that I realized that I could cut them in to shorts. This really was such a simple job. I cut them down to a long short length, then rolled them up to create a cuff, then I stitched across on the side seam and inseam to hold the folded cuff, and just like that I made myself my favorite new summer shorts! These fury leopard print and patent leather ballet flats also came out of my style vault. Having not worn them in a year or so they had collected a bit of dust. But strutting around town all day returned them to their former sassy beauty. 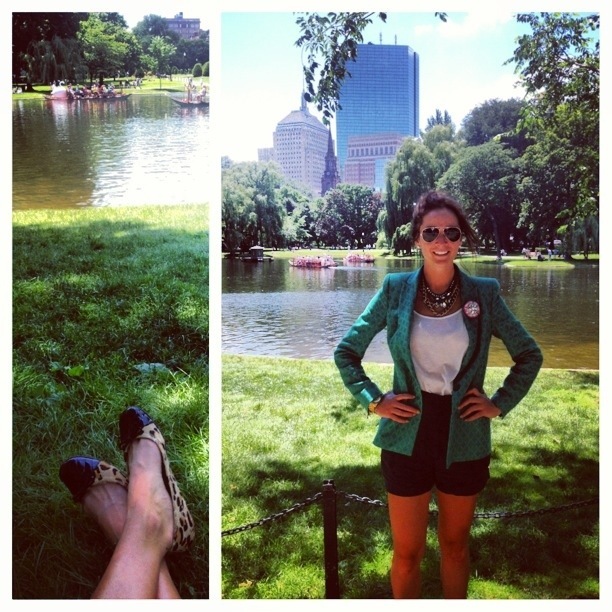 In the midst of my crazy day I stopped for lunch and a quick photo shoot in The Public Garden . Sometimes, I just like to get silly. I also, sometimes like to change my outfit in the middle of the day. In this case I just changed the accessories to give my basic fashion pallet another look. Here I am playing in traffic wearing these fab summer shoes I got in Paris, and toting a fun MARC JACOBS bag filled with bow ties.